So, introduction aside, here is my first project log entry for my newest 40K army, the Tyranids! But enough of that, no point going over old news am I right?! So how did I go about starting this army? First first port of call was the purchase of a box of three Tyranid Warriors, originally meant for Shadow Wars: Armageddon really. 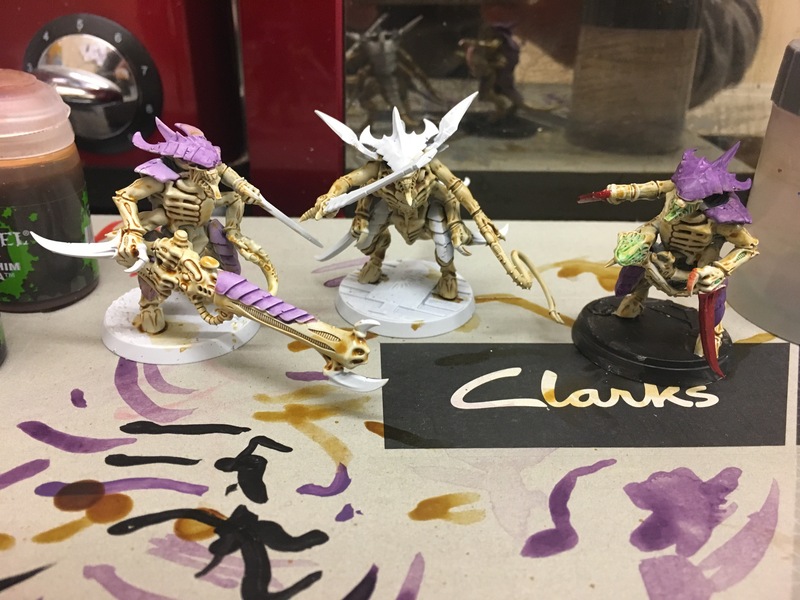 I really like the popular purple carapaced beasts from Hive Fleet Leviathan, of which my local Games Workshop store had a few units painted in the windows. After chatting to the store manager, who recommended the basic paints I’d need I set about the construction. From the off I wanted these beasties on the fancy Imperial bases. I am no painter, but the scheme I went for is very basic, and includes quite a bit of inking. While they haven’t been finished being painted yet, by this point after spending more time online watching battle reports from 7th edition and weighing up the awesome range of miniatures I’d decided to go for an army of them. 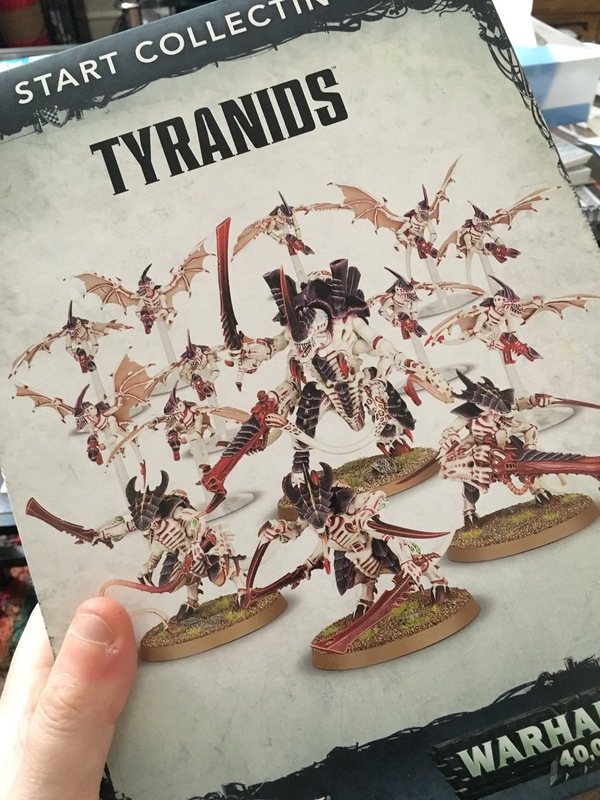 My next purchase was a no brainer, as the Tyranids have been blessed with one of the best ‘Start Collecting’ boxes in the range. Starting with 10 lots of Gargoyles, admittedly not a unit I originally had in mind to feature in my future finished army roster you also get a 3-strong unit of Warriors (giving me the option of a second squad or further bolstering the unit I already had up to a 6 man unit). To finish? 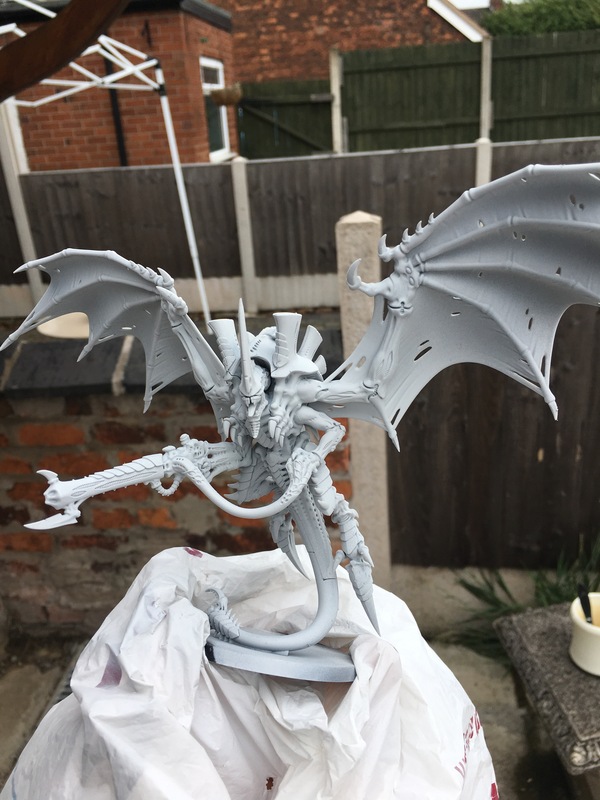 Well, every Tyranid army needs a monster to lead them, and this box provided me with the option of either a Swarmlord of the every popular Hive Tyrant, of which I built the latter. With wings…of course! Whereas the Swarmlord would have been probably the better choice in regards to combat, the Hive Tyrant gave me speed, psychic abilities and the option of a Heavy Venom Cannon. To top it all off he is also no slouch in combat either. 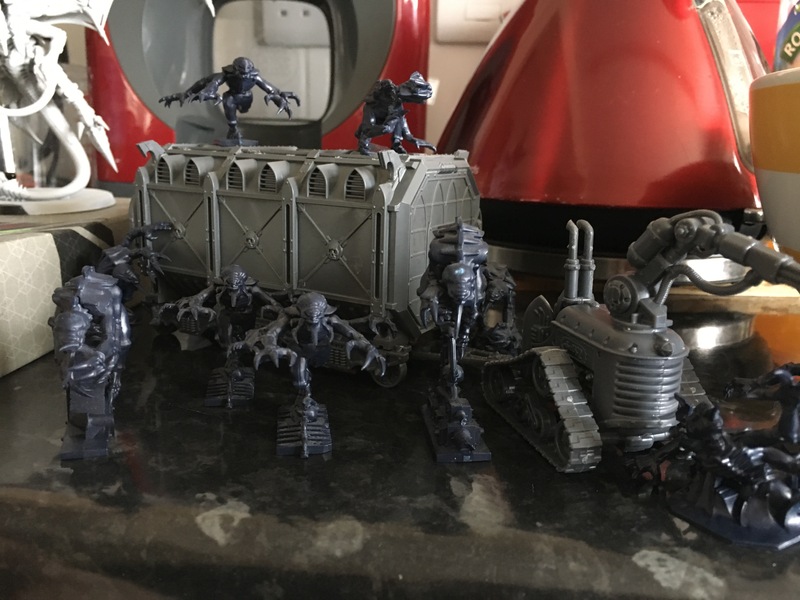 Before I’d had chance to finish building these, never mind painting them, I was very fortunate to be given a 10-strong unit of Genestealers (the ones from the Space Hulk boxed game no less!) 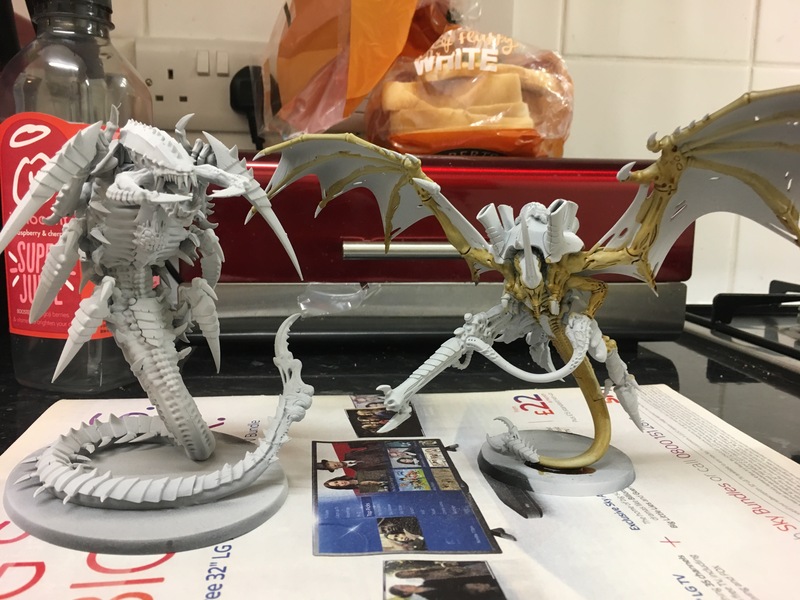 and a Trygon/Mawloc for my birthday! With the Genestealers not needing to be built it was straight to the construction of the other present, but the question was what to build him as. The Trygon, standard or the extra mean Prime variant, gave me the option of bringing a troops choice into the game from pretty much anywhere. The Mawloc on the other hand, traded the tunnelling ability with a better combat stat-line, and more importantly, a rule allowing him to pop up and instantly dish out damage, furthermore also having the ability to go back underground. I’ll leave this update at this point, but needless to say the horde continues to grow. More painting on the way too!